As a year-round mountain enthusiast, I'm always on the lookout for gear and clothing capable of spanning the various disciplines in which I work. Because of a lack of space in my gear room, an abundance of space in my wallet and a pursuit of function over fashion, I often choose the multi-functional stuff. This approach allows me to buy fewer items that will work for more than one activity. As an avid ice climber, alpinist and backcountry skier, I was curious to see how some of Black Diamond's gloves would span the spectrum of these hibernal sports. So I asked BD to send me a few pairs that would excel in both the skiing and mountaineering worlds. Still, these are gloves mostly designed for skiing rather than climbing. I chose ski gloves that can climb, rather than climbing gloves that can ski, because I see a growing demographic of skiers delving into the ski-mountaineering world. But before we get to all that, I must point out that I love gloves. I'm pretty picky about what I use and am always checking out what other people are using. It's all in an effort to find perfection in finger protection. I choose gloves (vs. mittens) because they allow me to manipulate zippers, buckles, carabiners, cams and ice screws when needed. When clients ask me what gloves to bring, I always recommend the lightest gloves possible for the given objective. Warmth is usually gained at the cost of dexterity, and when climbing dexterity is key. The average ski glove emphasizes warmth and is subsequently bulky, but Black Diamond has been producing ski gloves that can actually climb as well. Here's a look at five of their gloves, with the number of stars representing how well the glove functions at both climbing and skiing. BD markets these as a ski-mountaineering glove, but they also climb well. Of this bunch, these are the only gloves I felt comfortable wearing on WI5+ leads. 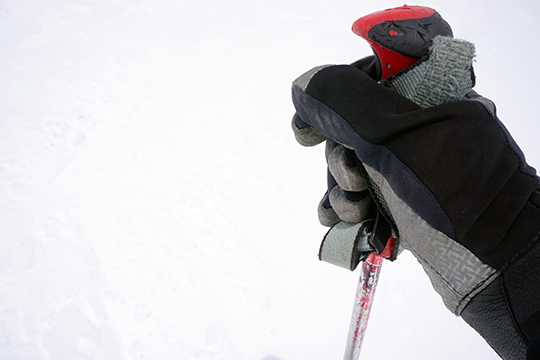 While not the most dexterous glove on the market, their tactile palms make holding onto both ski poles and ice tools a breeze. The Arc's have a slim hook-and-loop Velcro closure that sits neatly under the cuff. I have an average to small hand size compared to most climbers I know. Though I struggled a bit to squeeze my hands into the Arc's, the subsequent fit feels great, due in part to the way their stretchy softshell material accommodates the hand. The gloves are made with a capped finger construction, as opposed to a box-seam typical on other gloves, which I found to compromise their otherwise-fluid dexterity. Or perhaps this was because the gloves are a bit too long for my fingers—others with longer fingers may not have this issue. Compared to other BD gloves, these have a unique fit: very tight around the hand but with more girth around the fingers, almost as if they used a different sizing method. PROS: The Arc is a good crossover glove, capable of real climbing and nimble rope work. CONS: Might fit too snugly for some hands. I found the fingers just a bit too long and clumsy compared to gloves designated for climbing or the Kingpins. I've climbed and skied all over the world, from Pakistan to Alaska, with the trusty Kingpins. I've been using them for a decade and still feel they are the best climbing glove of the bunch. It takes some time to break them in, but I've led WI5 comfortably in these lightweight, lightly insulated, leather work gloves. Like climbing shoes, I have occasionally sized them down to get a "performance fit" because the leather stretches with use. The Kingpins have both tactile grip and dexterity. But what they don't have is a BDry integrated waterproof liner inside and, like other leather gloves, they can get really wet...and so do your hands. They're definitely not waterproof. PROS: A great all-around glove for skiing, and it can handle the required rope work for technical climbing. CONS: Can be chilly on cold days. Not waterproof and can get soaked through. Considering they don't have a BDry liner, they're on the pricey side. As for durability, I usually go through a pair a season (~100 days). The Spark is definitely a tactile glove, giving effortless grip for poles and ice tools. I started the season in a pair of Hestra ski gloves but found myself using the Sparks as my go-to gloves instead. Initially the Spark felt "cheap," like they were too supple, soft and light to endure the rigors of daily heli-ski guiding. I thought I would trash them quickly. The color (mine are green) began to fade after only one or two days of wet and wild skiing but didn't fade any more despite another sixty days of abuse. In the end, I was surprised by their durability and warmth, and I used them daily for months, though I would hesitate to use them for heavy rope work. With an integrated BDry liner, you get the dexterity of a leather glove with the luxury of it being waterproof. My hands never got wet, even when the leather was soaked. These are a fine ski-mountaineering glove but don't handle the truly technical (i.e., vertical ice) terrain very well. I could toprope well enough, but found the Spark too loose around my slim-to-normal fingers to manipulate carabiners and ice screws easily. PROS: Warm and durable, exceeding my expectations. Comfortable and supple. CONS: Pricey. For climbing, they're going to be fine for general mountaineering but too loose for truly technical climbing due partly to the finger-box construction. Online, the Rambla looked heavy and warm. When I finally picked up a pair, I found them warm but surprisingly light. The Rambla is masterfully constructed, and perhaps this is why its weight-to-warmth ratio is so favorable. While the weight is an asset for climbing, the overall fit of the Rambla is similar to the Sparks: too roomy in the fingers for technical climbing. The Primaloft insulation keeps fingers warm, but at the cost of the nimble touch required to manipulate carabiners. If I have to remove the gloves every time I want to screw a locker shut or untie a tight knot, the warmth of those gloves no longer matters. The Rambla is a great glove for skiing in cold temps or wet weather but only functions well for very basic mountaineering, not technical climbing. PROS: Warm, waterproof and light; after months of use, they still look almost new. CONS: Pricey. Because of the Primaloft insulation, they're too roomy in the fingers for technical climbing. 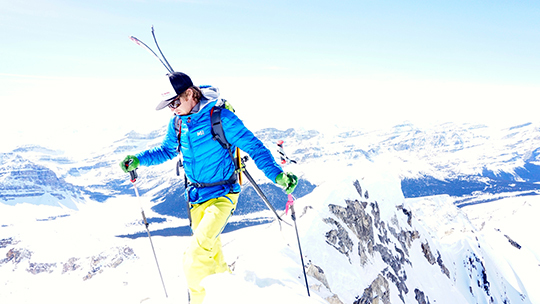 BD recommends these gloves for technical alpine climbing and ski mountaineering. Personally, I would recommend them for basic mountaineering, but not alpine climbing. The Pursuit is definitely a solid and snug fit, the kind of fit that feels good while gripping an ice tool swinging overhead. Snug? Check. Warm? Check. Dexterous? No. This is mostly because of the high-loft fleece lining inside. This means that, like most of the gloves in this review, the Pursuits can climb well enough but struggle to manipulate a rope or carabiners efficiently. Despite their relative thickness, I found the Pursuits to be surprisingly breathable. I didn't sweat them out despite wearing them on warm skin-tracks in the Canadian Rockies this spring. I found these to be fine gloves for moderately technical climbing, but still bit too clumsy for WI5 leads. PROS: Warm for their weight, and snug enough to grip poles and ice tools easily. Breathable and comfy. CONS: Their warmth compromises dexterity in the fingers, making truly technical climbing difficult. Long-term durability might be compromised if lots of rope work is involved.